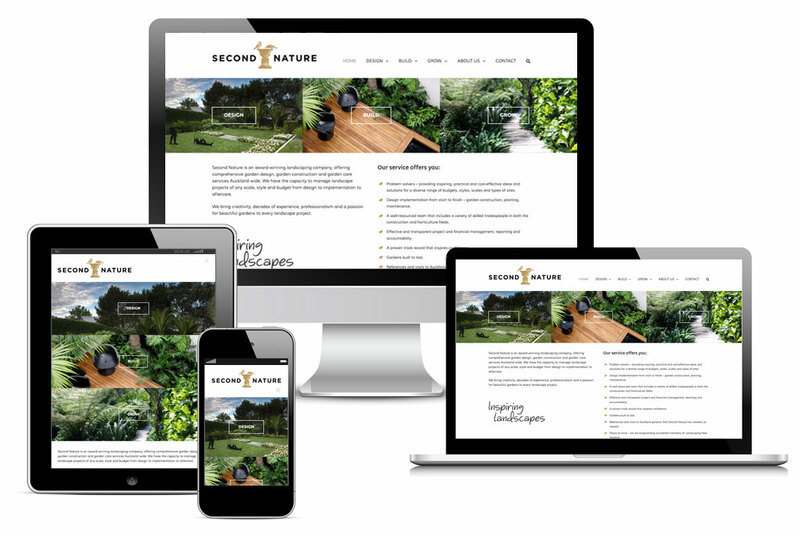 Karebou worked with Second Nature and a copywriter to expand the online presence of this well-known Auckland landscaping company. Previously Second Nature had a one page website consisting of very little content with some beautiful graphics. The new website is far more informative and is ranking higher with search engines due to the greater amount of content and search engine optimsation. The new site retains the beautiful imagery but now it has room for many more photos to provide potential clients with inspiration and to instill confidence in Second Nature's capabilities.